The Drunken Housewife: What Do Margaritas Have to do With Peace? Peace is in the eye of the beholder, right? Something like that. It was hard to not take more pictures of sleeping kids. That is when they're peaceful, but I think I post enough sleeping baby pictures. It crossed my mind to take pictures of my newly organized playroom. That being done creates some peace in my soul. It also creates anxiety because it's time to move on to something else. So, what does my soul good? Once a week, I leave the kids with dad to put them to bed. I grab my book and head out for dinner. 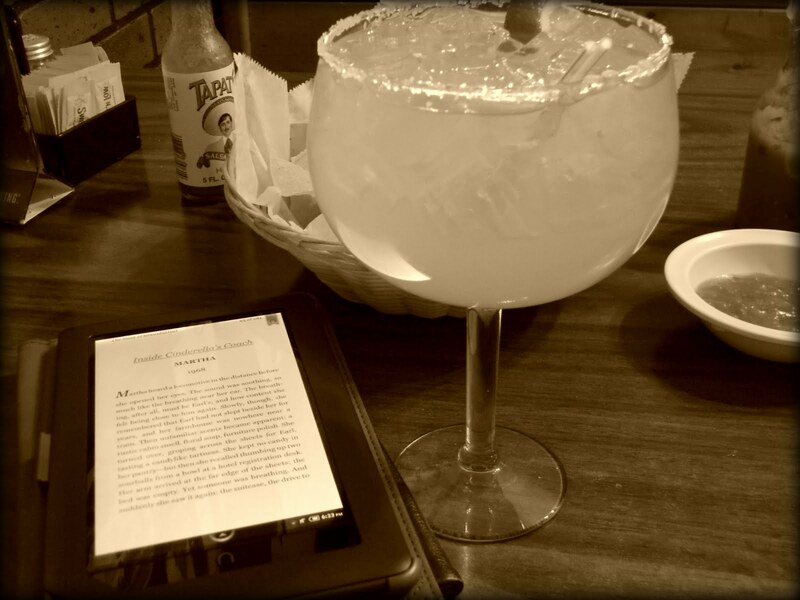 I don't rush, I read my book and I drink a margarita (or two). It is my time. I can actually relax a little and tune out the world. It is fantastic. It keeps me sane the other 6 days of the week. Ohmigodthatmargaritalooksgood! We're Texans living in Romania for the year, and there are no margaritas here. I repeat, no margaritas. Gah! Poor Stacia! I can't even imagine living in a world without margaritas! It's just not right. Cheers! What a great way to enjoy some piece. A perfect depiction of peace!